ERS’ newest innovation in thermal testing, is a family of thermal chucks developed together with MPI Corporation, a highly distinguished company in the analytical wafer probing industry. This is the 4th generation of thermal chucks from ERS, with a temperature ranging from -60 to 300°C. For test temperatures down to -10°C, no separate chiller is necessary, and for -40º°C only a small chiller is needed (only 1/3 of the size of a normal ERS chiller). The PRIME Thermo Shield (PTS) is integrated into the chuck, leading to an estimated 2/3 reduction in soaking times compared to previous ERS models. 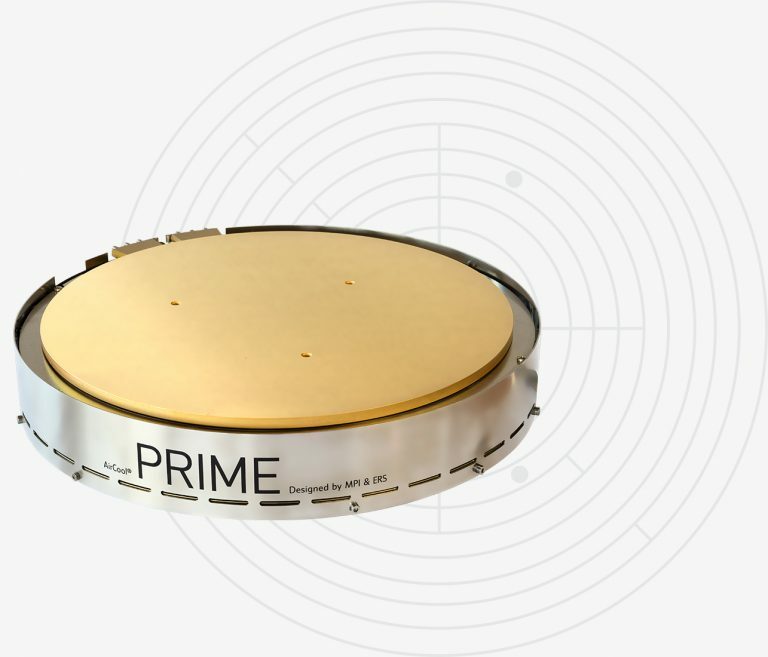 Available for 300mm (12″) wafers. AirCool® PRIME won an Electronics Industry Award in the category “Test, Measurement & Inspection Product of the Year”.